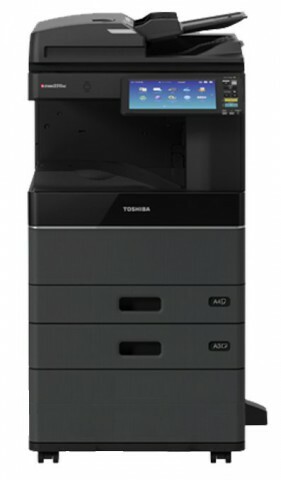 Toshiba E-studio 2010AC color multifunction A3 copier machine has 20 cpm/ppm print and copy speed, 9.5/9.5 seconds first copy out time, approx 21 seconds warm-up time, 600 x 600 dpi copy resolution, up to 999 copies multiple copying, 350 sheets paper capacity. This product toshiba e-studio 2010ac photocopier comes with 1 year warranty. Visit showroom or call to buy the toshiba e-studio 2010ac photocopier from Dhaka, Bangladesh.